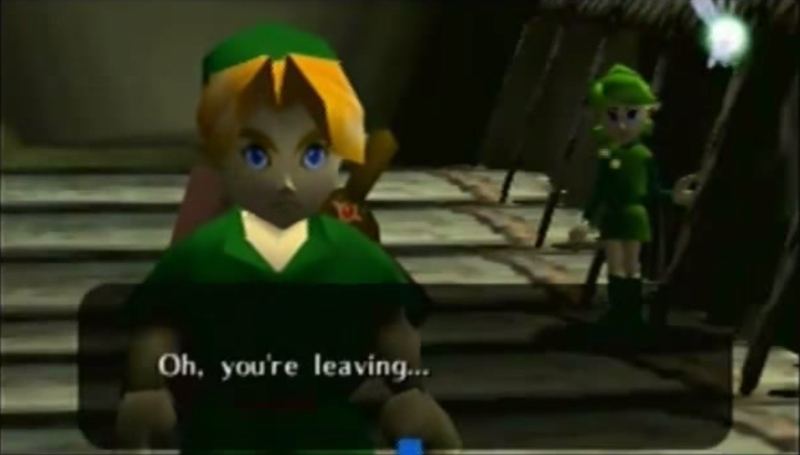 I am fully aware that you have been beaten over the head with Ocarina of Time love for the past fifteen years. There is even a bit of apprehension on my part for venturing down a path so often traveled. As strong as my desire to offer forth unique reading material is, it needs to take a backseat in this instance. Sometimes, I must simply recognize something for truly remarkable and not worry about how recycled the take may be. The Legend of Zelda: Ocarina of Time for the Nintendo 64 changed my life. I would usually chuckle at anyone suggesting that a video game had such a profound effect on their existence, but I have no choice but to concede that a plastic cartridge greatly assisted in my growth as a human being. I can still visualize my first experience with the game with the utmost clarity. It was the last day of seventh grade and my parents agreed to purchase a new game for me and my sister for scoring solid grades. I actually wanted to get a different game (I don’t recall which one), but my sister insisted on Ocarina of Time and I eventually gave in. It didn’t take me long to realize I was playing something unlike anything I had ever experienced before. I worked my way through the Deku Tree, past Queen Gohma, and could not wait to see what the world outside of Kokiri Forest had to offer. My family had recently relocated to a new city, away from every friend I ever had and the home that had been host to some of my most cherished childhood memories. I did not wear a tunic and was not given a potato-shaped flute when I left, but I was immediately transported back to the moment I said goodbye to my best friend and ditched town forever. Then I saw Hyrule Field. Equally entrancing and overwhelming, the expansive landscape seemed to extend forever. It came alive with creatures of the oddest variety (many of them hostile) and contained castles, ranches, fortresses, and volcanoes – all of which could be visited and its inhabitants interacted with. The world in Ocarina of Time seized my imagination like no other piece of entertainment ever had. 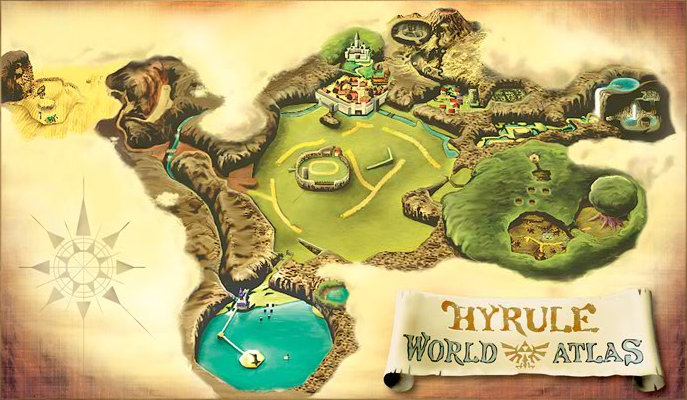 I believe that the the Hylian geography and infrastructure attributed to that more than any other factor. I felt that the world I was exploring was an important part of the story and not just the paper on which it was being written. It wouldn’t be too ridiculous to say that over half of my time playing Ocarina of Time was spent simply roaming the countryside. I would wander Hyrule Field without purpose for hours; exploring just for the sake of it. That sense of excitement I got by travelling to an unknown location and seeing what it had to offer inspired me. It helped a displaced teenager in a new city realize that familiarity was the enemy of progress and that one should strive to adapt to new surroundings instead of longing for ones left behind. I won’t deny that there are times when I feel like time spent playing video games is time simply wasted. Sometimes I feel like it’s time to pull the proverbial Master Sword from the pedestal and grow up. Maybe I’d take up an “adult” hobby like woodcarving. That’s what grown-ups do, right? My conscience is quick to remind me, however, that it was the child version of me that learned to readjust his mindset in order to turn an unexpected change in scenery into opportunity to better himself. If Hyrule’s silent savior taught me anything, it’s that we’re all better off reverting to our childhood form on occasion.